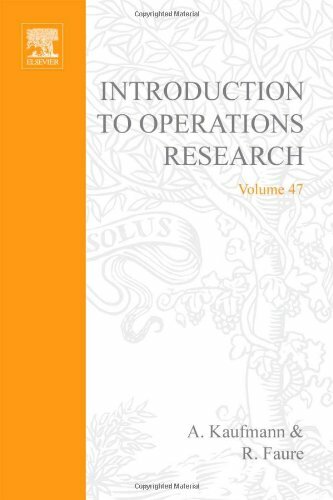 [PDF] Introduction to operations research, Volume 47 (Mathematics in Science and Engineering) | Free eBooks Download - EBOOKEE! Description: Operations research may be defined as the art of applying precise reasoning to problems which, for a variety of reasons, cannot be formulated in the usual precise terms of science. We meet questions of this perplexing nature in the consideration of economic, engineering, industrial, and medical processes and, generally, in the human direction of human affairs. No comments for "[PDF] Introduction to operations research, Volume 47 (Mathematics in Science and Engineering)".